Should you ever find yourself in need of a replacement for a vital organ, your ability to receive one will depend on some factors that have nothing to do with how badly you need that heart or lung or pancreas. Your age and blood type will figure, as will your ability to afford the immunosuppressant drugs and lifelong care needed to keep the organ functioning. If your lucky day ever comes, it will come only because someone else had an extremely unlucky day: A healthy and immune-compatible donor will have died in a way that leaves a healthy target organ unscathed. But thanks to scientists that are doing their best to find an option rather than wating for a person to die. There is a probability of using other animals to help us. There is one abundant and quick-breeding species that in crucial respects bears an almost uncomfortable resemblance to humans: Sus scrofa domesticus, the common pig. A 150-pound pig is uncannily humanlike in organ size and function. But this is not that easy. 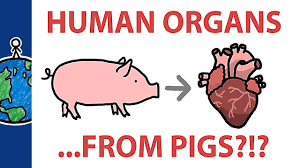 In fact, humans are not molecularly compatible with pigs, their organs will never work in a human body. So, scientists are working to comprehend the mechanisms that guide the human immune system to distinguish friend from foe, and to persuade it to regard the pig as friend. Xenotransplantation has always been around the corner, pigs have been quietly insinuating their way into our bodies for some time now. Their pancreas glands have been used to make some types of insulin, and their intestinal tissue has been used to make the blood thinner heparin. Cardiac surgeons reach for pig heart valves to replace leaky and hardened human plumbing, and eye surgeons have affixed pig corneas to damaged human eyes. But those are not the only organs that people are waiting for, unfortunately there are many organs that are not compatible with us. In 2013, a 27-year-old Harvard graduate student named Luhan Yang co-authored a study that demonstrated how the genome-editing tool known as Crispr-Cas9 could slice through mammalian genes and edit sequences to remove some characteristics and alter others. 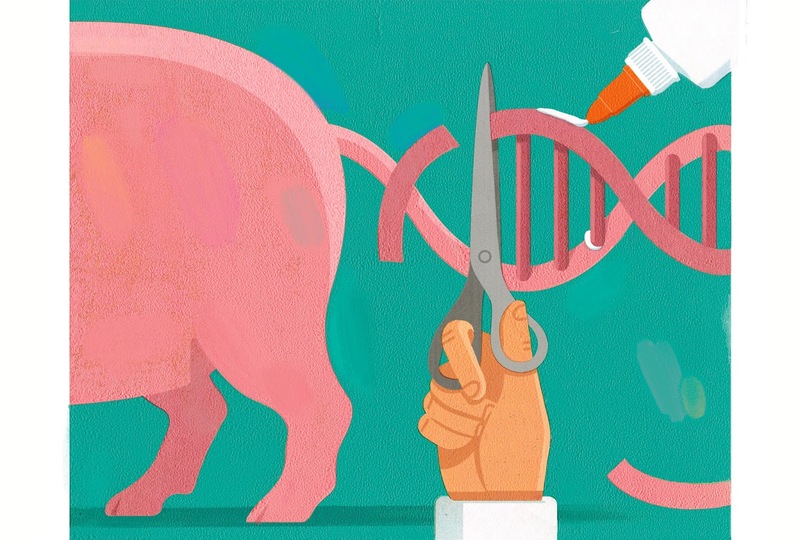 Yang’s team developed a technique to edit genetically normal cells from a living pig, then embed the DNA-containing nuclei of these modified cells into egg cells taken from the ovaries of a normal pig. A few months later, the team witnessed the birth of the first pig born without the endogenous viruses. With the PERV gene knocked out of their pigs, Yang and her team are experimenting with knocking in dozens of human genes to make the organs more humanlike: Some would buffer the pig tissue from assault by the human immune system; others would tweak its coagulation system to diminish the risk of clotting. In my opinion this could safe many lives because there is a chance that your lucky day to receive an organ donor will never come, that you’ll become one of the 20 Americans who die each day waiting for an organ. The ability of scientist to manipulate many genes opens new possibilities and innovation. And some day the organs of those pigs could be in someone that we know or even us.